The Naval Special Warfare community has been serving on the front lines of every major U.S. conflict for more than five decades. Among those serving in this elite community are Navy SEALs, Special Warfare Combatant Craft Crewmen and a collaboration of support personnel that ensure the success of every mission. These are the warriors who are sent into the most dangerous, challenging situations worldwide. By all accounts, these men and women are heroes. But even they sometimes need help. A new initiative housed within the USC Marshall School of Business has stepped up to lend a hand. 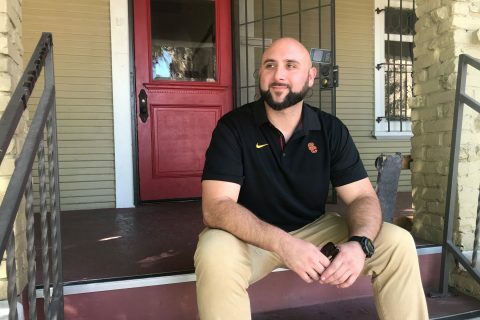 With Your Shield, A McMorrow Veterans Initiative, is a certificate program developed through USC Marshall to help separating and retiring Naval Special Warfare families successfully transition into civilian life. 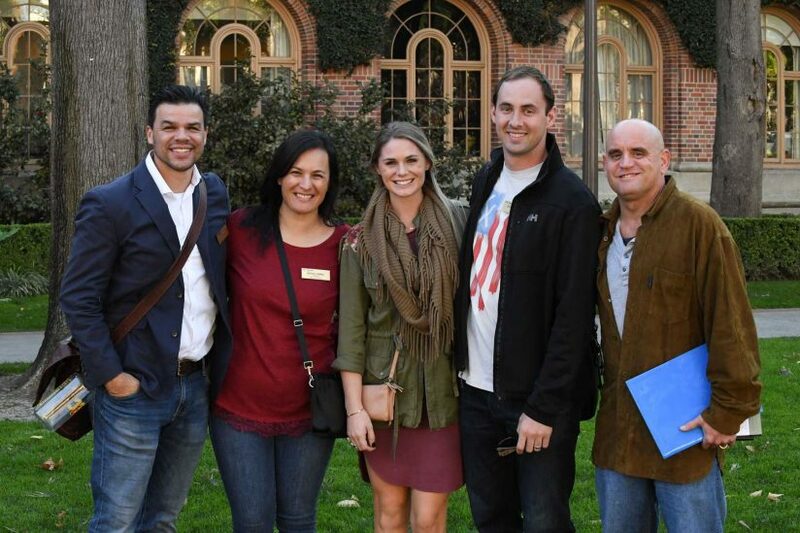 For those accepted, the certificate program opens up the Trojan Family network, providing the veterans — as well as their spouses — custom access to civilian business networks and educational opportunities. 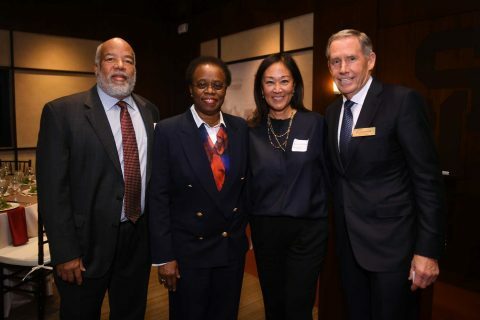 The first cohort was officially launched Jan. 23, followed by a dinner reception at Heritage Hall on USC’s University Park Campus, attended by USC trustees as well as senior university leadership, including USC interim President Wanda M. Austin. USC has a number of programs for veterans, including the competitive Master of Business for Veterans program at USC Marshall. As a three-month certificate program, With Your Shield is specific in who it targets. USC Trustee William J. McMorrow ’69, MBA ’70 wanted to establish a program that would help expose participating veteran families to USC degree programs, employment/networking opportunities and community resources across the country. He tapped Sisa to oversee the program. McMorrow said With Your Shield is of special interest to him. “I want to honor these young men and their families for their service to our country,” he said, “but I also want to honor my father.” McMorrow, one of nine children born and raised in Southern California, recalled the lessons his father, a Navy fighter pilot (and ardent Trojan football fan), had taught them. “He raised us to understand the value of discipline and hard work,” he said. 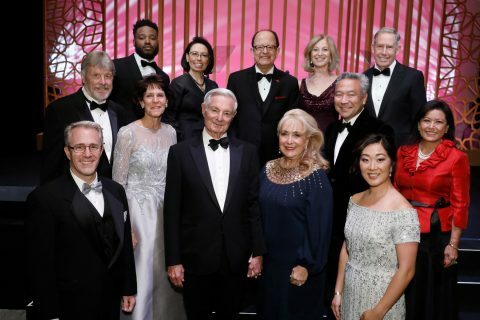 McMorrow, chairman and CEO of global real estate investment company Kennedy Wilson, was last year awarded the Asa V. Call Alumni Achievement Award, the highest honor the university can bestow on alumni. “I am honored to give back to the university that gave me so much opportunity in my life,” he said. With Your Shield is the result of that generous support, Sisa said, as well as a strong vision, more than a year of preparation, and a leap of faith for the first participants. “Starting a new program takes a group of people who have made the brave choice to be a part of something new—something that will change the course of their lives,” he said. 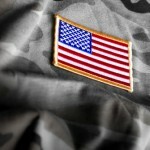 The USC Marshall degree program helps veterans translate leadership skills to the corporate world. 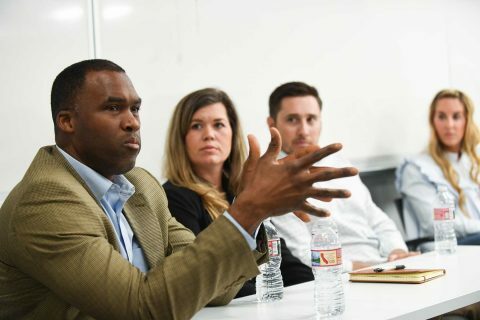 The USC Marshall School of Business has launched the Master of Business for Veterans (MBV), a new degree program for veterans. All branches of the military are represented at the university’s first units for student veterans. 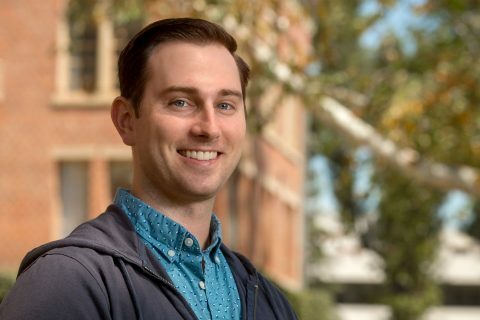 Jeremy Fricke has worked to enhance benefits for student veterans, expand veterans’ networking and more.